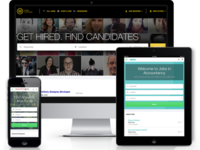 JobBoard.io is great for recruiters, enterprise and online communities who want to launch their own job board in minutes, with no complicated technical requirements. Seamless integration with your own website and branding but equally effective as a stand alone website. Exceptional customer service and support - always quick to respond to my queries and requests. Cons: There are no negatives as far as i am concerned. Overall: I would have written this review sooner but having tried and tested a number of other platforms over the past couple of years I wanted to put the software through a full evaluation period. Having used Jobboard.io for several months now I am more than happy to provide this review and personal recommendation. 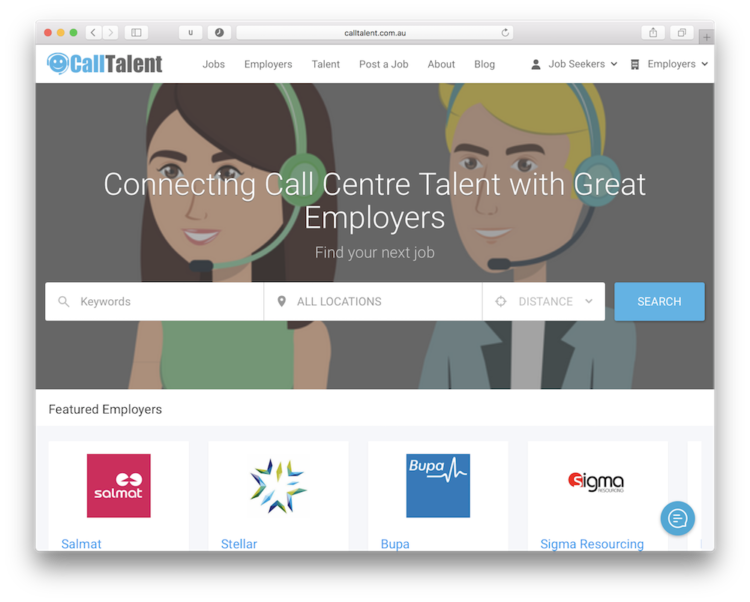 Recommendations to other buyers: If you are looking for an all round versatile job board platform, which can be integrated seamlessly with your current website and exceptional technical support, then you do not need to look or try any other platform. Thank you so much for the kind words John! We are thrilled to have you as a client and look forward to your continued growth! 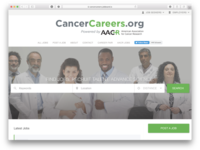 Pros: Always up to date, the support, user friendliness for site owners and for people using the job boards on the front end. Thank you TJ! We appreciate your business and look forward to continuing to help grow your business! 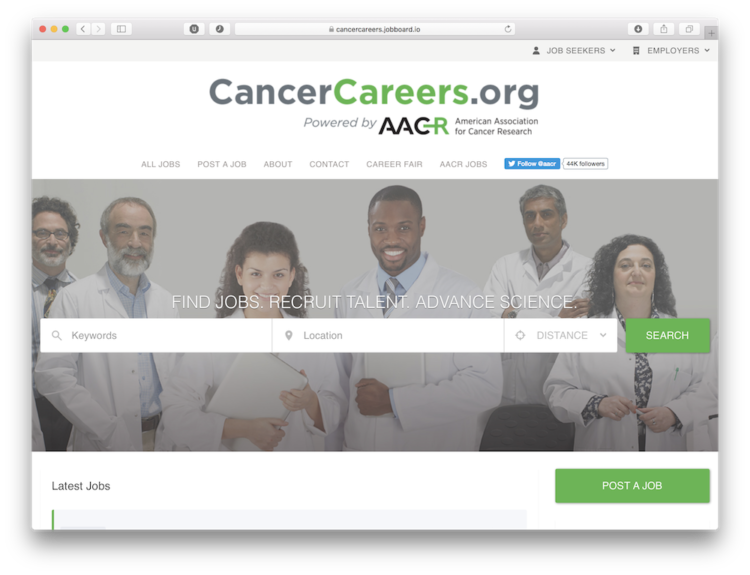 Overall: We're a scientific body and recently we took the plunge and started our own niche area JobBoard. We did some research as you do in science and we contact several vendors, there's no point naming them. 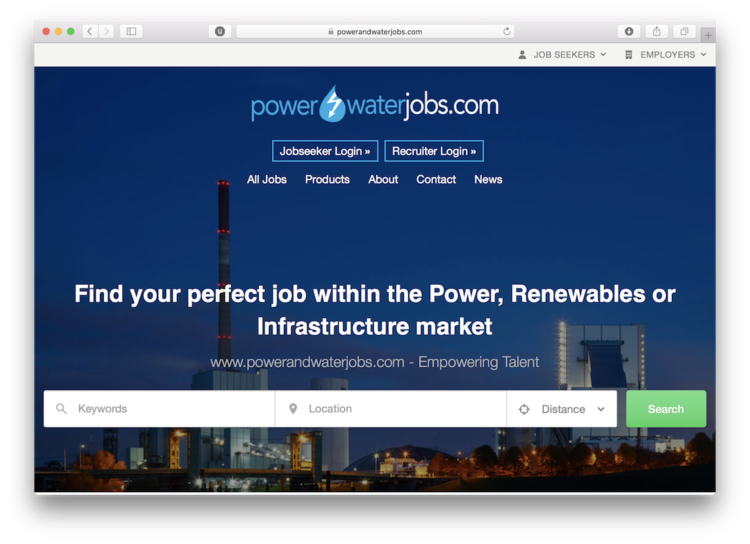 Eventually we came across JobBoard.io, what a breath of fresh air. the founder and own took me through all that I needed to know as a JobBoard debutante in which for him must have been a very long call. He then did it all again for the board so we could get sign off. At every stage they have held our hand and explained everything in layman's terms so we could progress and at no point were we left hanging and wondering what do we do next..
We couldn't be happier, hence my long review. As far as I'm concerned credit should go where it is due; it's certainly due, there isn't a Noble prize for JobBoards but JobBoard.io will get my vote should they start one. Recommendations to other buyers: We were debutante's where JobBoards are concerned we know nothing, my advice is listen to the professionals jobboard.io are certainly that. Thank you David! It's been a pleasure working with you and the entire Royal Meteorological Society executive team. We know launching a new platform isn't always easy, and we're thrilled we were able to make it a smooth transition for your entire organization. Pros: The fact that you don't have to be a techie to use. The job post form is very easy to use. Cons: No Cons. Every is good about these guys. Sorry bad to report here. All but good. Overall: The benefit are massive. Self sufficiency!! Comments: I switched to JobBoard.io after running a self-hosted WordPress job board for over four years. That old system was a mess. The user experience was terrible, the code was a tangle of poorly architected dependencies and the payment system was unreliable and labor intensive. JobBoard.io has taken away all of those problems, and I'm never looking back. Don't get me wrong. I love WordPress. I've run a popular blog (motionographer.com) on WP for over 9 years, and it's fantastic for that. But if you're thinking of running your own job board on WordPress, please take my advice and go with JobBoard.io instead. Thank you Justin! We appreciate your business and look forward to continued success together! Overall: Overall the job board works perfectly as advertised. The new design update looks great and provides a great deal of customization (ie: colors, fonts, html-friendly space). At $149/mo entry level pricing, it's a little expensive for smaller markets that don't charge a lot for job posts, however not prohibitively so - we still make more than we spend. Customer support is fantastic! Typical same day (or even same hour) reply to any inquiries. They have a few 3rd party partnerships for additional revenue opportunities, such as Indeed or Top Resume. Super user-friendly platform and simple backend to navigate, customize and change settings. We've been customers since August 2016 and are pleased with our purchase. Recommendations to other buyers: They have a 2-week free trial so you can test it out before you commit. Thanks for the review Scott - we enjoyed partnering with you to build out your community offering! Incredible customer service experience, easy to use, worth the spend! Pros: The people that come along with it. I was helped by one of their customer service agents who went above and beyond to help us launch our job site for women in technology (going live next week). The technology is also far easier, customisable and smarter than I imagined initially. Cons: There should be different views for employer and candidates, improve the 'alert' functionality to allow for location AND another category. Overall: Great customer service. Looking forward to a great launch! Thank you Nicole! So glad to hear you had a seamless onboarding experience! FYI on the alerts you can turn and search into a job alerts, so you can use any combo of location, categorie(s), radius, city, state, custom fields, etc. We'll be sure to make this clearer! Pros: Ease of use. Built well. No real issues. Great support. Cons: Lack of back end customizations. CSS is a good option which can definitely give the overall look and feel you're looking for but there are some little things that should be customizable that aren't. And thanks to Peter for all his help with my customizations. Thank you for your support and feedback Philip! We look forward to partnering with you and continuing to improve the product offering! Pros: Ease of use and functionality. Overall: We have been using this service for quite sometime! We love the product and the team keeps us in the know as new things come out! We would love more way to add sources for feeds for other job boards. Recommendations to other buyers: Mobile app potentially to monitor job board. Jobboard.io is the absolute best solution for anyone trying to start a job board. Pros: The platform is so intuitive, simple, and user friendly. All the features you need are at your finger tips. Cons: The only thing I would change about this software is the purchasing feature. I'd prefer if it were more of a shopping cart but the limitations didn't prevent me from setting up an ideal menu and the customer service is so over the top incredible that it more than makes up for any shortfalls a user may find. Hi Chandra - thank you so much for your kind words! We look forward to helping you grow your job board business! If you're looking for a job board partner; this is your choice. Comments: I've been in the staffing and recruiting space since before job boards existed (barely, but still). I set out to build a platform that would bridge some of the weaknesses of job boards in the employer recruiting process. I looked at ground-up development, WP theme development and SAAS tools... and even tried a few of those options in the process of choosing my platform. In the end, Jobboard.io made the most sense, so I signed up. It has been one of the best moves I've made in by backend business platform. Not only does it provide a captivating UI, it has an easy to navigate yet sophisticated back end. The real beauty of Jobboard.io is the devotion of the its creator, Christian, behind the scenes. Personal customer service, Facebook Group interaction, an unceasing development and deployment schedule, and a commitment to his customers. Thank you so much for your business Steph - we're delighted to have you as a partner! Comments: We only advertise a small number of specialist jobs and we were placing them manually on our website, however this was really time consuming to keep them updated etc. 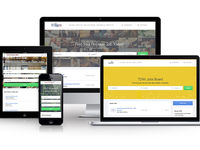 JobBoard.io is a great time saver as it virtually manages itself. Our customers can place their own job listings, add logos and direct application links through their own login and also pay online for the adverts through PayPal. The jobs expire automatically based on our settings. I can also post a feed of the current jobs through to our main website and newsletters. The customer support is excellent and there are regular improvements and new features. The few queries that I have had over the last 16 months have been answered very quickly. I would definitely recommend JobBoard.io. Thank you for your continued support Suzanne! We've enjoyed working with you and love hearing how our platform is saving you time and money! The best job board software on the market! Pros: This software is professional, easy to use and what I'd classify as true "turn-key" software unlike some others I've used previously. The Jobboard.io customer service team are first class and are always willing to assist, whether it's to help setup your site or to answer any queries. Cons: I like everything about this software but I would like to see more customisation offered in future upgrades. Thank you for the kinds words Chris! We look forward to helping you grow your business! Comments: I set up my DNS incorrectly and even though it had been working, my sub domain was also wrong. Christian (The founder) himself was quick to identify the problem from their chat window on their site, and he did not delay in correcting the issues within my domain provider GoDaddy. This is not the first time jobboard has performed fast, efficient support. Goodness knows that when the stress hits of technical failures on my part, they laugh it off with me and solve it fast. I know of only one other company online anywhere in the world with the same level of excellence - Jotform. Both of these companies are setting new standards and saving me tons of Advil...! Thank you Steve! We love being able to interact with, and help our customers! Makes our day! Comments: JobBoard.io was very easy to get launched and and skinned, and the JobBoard.io team has been very responsive to requests for help, as well as feedback on product functionality and addition of features. 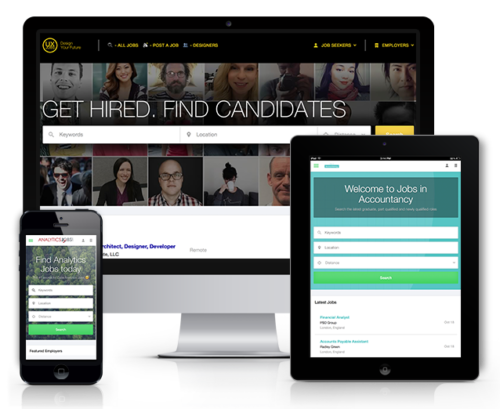 We chose JobBoard.io because the core functions were solidly implemented with a good user experience, but they've since expanded with several very useful tools to market and measure the job board. And honestly, we've not been apple to keep up with implementing all the tools as they rolled out, but are happy with the ones we do, and with the little tweaks our feedback helped form. Thank you for your support Kim. We are always grateful for your feedback - customer feedback helps make our product that much better. We look forward to a long term partnership with Wine Industry Network! No more headache with my Jobboard! Pros: It is so unbelieveable easy to set up and run! Much more than "do it yourself", it is magic :). It looks clean and organized. It offers every feature you need for high quality jobboards. The support team is fast, friendly and competent !!! Overall: no more headache, all in one, every feature i need, a great support! The software is better than every webmaster or programmer I ever hired. So even the pricing is more than ok. Comments: I run a number of regional veterinary job boards using JobBoard.io and I literally could not be happier with the product. It's incredibly flexible, the admin interface is simple, the job board looks clean for applicants, I'm able to collect visitor data from candidates, and the customer service on this product is second to none. I've been able to slowly expand my business thanks to this software which has only improved since I first started using it. I don't plan on switching services any time soon and if they keep building on this great product, I never will. Thanks so much Matt! You've been a great customer and we are happy to see you grow your business on our platform! Comments: JobBoard.io's implementation of a job board is a breeze - you will be up and running in no time. If there are any hiccups, they have some of the fastest customer service we've seen of any provider. The feature-set (already extensive) continues to expand and it's clear that this is a provider that is dedicated to near-constant improvement of both the customer and user experience. From the back-end to the front-end, you can tell this software was designed by developers who know how job boards should work. Keep up the good work! Thank you Amar! We love being a part of your success! I've had a great experience with this platform. Pros: It's very user-friendly and easily customizable. Excellent, prompt customer service. The functionality is great. Cons: Overall it's great. It would be great if there were more features to add or integrate to make it more robust. Comments: For my money Jobboard.io offers the best software platform on the market for starting a job board. Its the most modern UI on the market and their team is highly responsive and genuinely cares about its customers. As a consultant in the industry I often recommend it to my clients. My favorite features include the new reporting dashboard, mobile friendly UI and reliability of the servers. There are few cons but the main one would be the basic design layout. But you can customize it if you know some CSS. Thank you Chris - we appreciate your support and business! Pros: Ease of use. Amazing customer service. Cons: No cons at all. Seriously! Overall: I had a great experience. The job board was easy to set up and we had our first sale within 24 hours. Recommendations to other buyers: Get started! Thanks so much Tina! We are excited to partner with the American Association of Community Colleges! From the first day I have received amazing and FAST support from them. They have been helpful on many different issues from coding to promoting. The software is simple to use for the beginner but also has options for the advanced. My only problem is I didn't find them soon enough! If you're hesitant about a solution for your job board, you don't need to be any longer. Jobboard.io is top notch from my experience. Thanks Chris! We appreciate you as a customer and glad you are satisfied with our service! 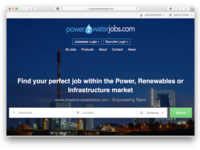 Comments: Everyone at Jobboard.io made sure that our transition to the platform went smoothly. They, especially Peter, went above and beyond to answer all our questions, solve issues and provide quick customer service as we migrated over. They are very open to feedback and are constantly making improvements to provide a better user experience for publishers, employers and job seekers. A+++ in my book! Thank you so much Jennifer! We've really enjoyed working with you and look forward to being a part of your much deserved success! Best Job Bod Software on the Market!! Comments: I was an early user of the job board software and WOW have they put so much time and effort back into the continued improvement of the software. Hands down the best and easy to use Job Board software on the market. The customer support is even better!! I highly recommend any person looking to start a job board use Jobboard.io Thanks for everything Jobboard.io for everything over the years supporting my past boards! Thank you for your kind words Chad! We love seeing our early customers grow! Comments: I have been a Jobboard.io user for several months now and I am legitimately, honestly happy to be on board. Christian and his team are ultra-responsive to my requests and are constantly refining the job board product with powerful tools and intuitive, smart design. It's a pleasure to be part of this community--and so good to work with a company that really "gets" customer service. Thank you! Thank you so much for your support! We appreciate being in business with you! Comments: In terms of design, UX and UI, for admins, job-posters and job-seekers, it's simply the best. In fact, I'd put jobboard.io on par with the biggest SaaS players. I'm excited to continue growing my job board and working with Christian and his team, whose passion for the product shines through at every turn! Thanks John! We look forward to helping you grow your exciting initiative. Thank you for your support and business! Comments: I have designed, developed, managed, supported, evaluated and used alot of applications in my career. I must say, this is one of the most well thought out interfaces, integrations and user friendly sites I have ever seen. And fast and courtious support too! Thanks Roy! We're glad to have you as a client! Overall: We've been using JobBoard.io for over a year now and have been impressed by the pace of new development, and by the customer support. Responses are generally quick and helpful, and the team is pleasant to deal with. Thank you Leah - we've loved working with you and look forward to continue to partner with you! Comments: We launched our first board with jobboard.io. We looked at other boards, those with numerous tools but remained here as our board continued to grow because of: 1) Customer Service; 2) Constant innovation. We are planning to launch up to 50 additional boards and will do so in partnership with jobboard.io. Thank you Jim! We love being in business with you! Comments: A great product from a great team. 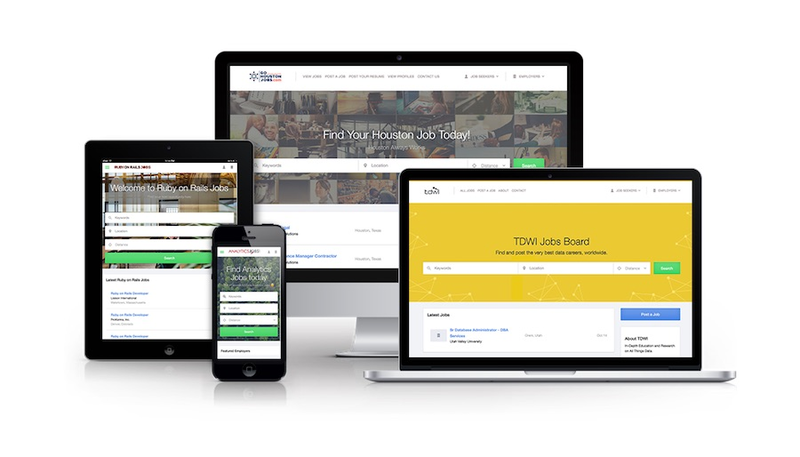 I have used several job boards for my business but none have come close to Jobboard.io It is very flexible allowing easy customisation to meet your business needs. The team offer excellent support and get back to you very quickly. The software is also innovative being constantly updated and improved. Excellent service, easy to use and maintain. Comments: I can't fault one bit of it, excellent software and excellent support when needed!! Thank you Russ! We are happy to be in business with you! Great Job Board software leaves you room to grow! Comments: I have been using Jobboard.io for over16 months and it has been the ideal solution for or niche jobboards!